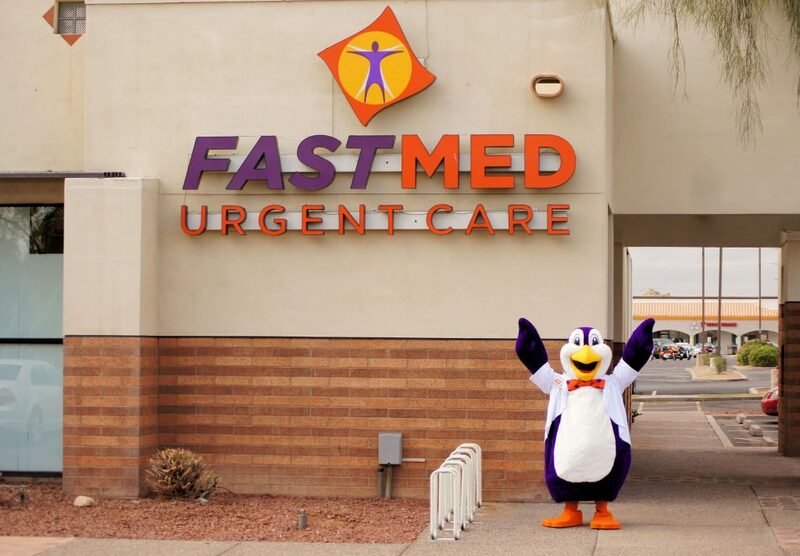 Last week, FastMed Urgent Care celebrated their its 25th clinic opening and ribbon cutting in North Carolina. The new clinic, located at 3250 Wilkinson Blvd., Charlotte, NC 28208, opened its doors to the public on Saturday, July 14, and is open 365 days a year. The grand opening celebration included a community event with free food, face painting, balloon twisting, a mobile gaming truck and more. Racecar driver, Jeff Fultz, and his Nationwide car were also there to celebrate. Following the community event, FastMed invited employees and neighboring businesses to a ribbon-cutting ceremony to give the neighborhood community a chance to get to know and learn about FastMed’s services and meet the medical providers. One provider you have to meet is Jan Pickett, who is both Practice Manager for FastMed Urgent Care in Charlotte off Wilkinson Blvd. and a practicing certified registered nurse at the clinic. Jan Pickett received her Bachelor of Science in Nursing from Queens University in Charlotte, NC. She then received her Masters of Science in Nursing from Duke University in Durham, NC. Prior to FastMed, Pickett served as a nurse at a variety of hospitals, practices and urgent cares. Pickett is also an active member of the North Carolina Air National Guard in which she serves as a Flight Nurse. She has served tours in Peru, Moldova, Bulgaria and many other locations. Pickett has earned many certifications including Pediatric Advanced Life Support, Advance Burn Life Support, Board Certified Family Nurse Practice and more. Her hobbies include gardening, hiking, water sports and mission work. FastMed on Wilkinson Blvd. features convenient, after work hours. FastMed accepts all major insurances, including Medicare and Medicaid. Self-pay patients are also welcome. Most non-life threatening sickness or injuries are treatable at FastMed. This includes stitches, broken bones, infections, colds and more. The providers can see patients ranging from children to senior citizens. FastMed is also available to perform drug screens and other occupational health services. Charlotte, NC – Wilkinson Blvd.